There is no shortage of beautiful ladies watches in the market, but recent times have shown that demand for these captivating horological creations for women continues to be on the rise. Here’s a quick look at a handful of remarkable unique high jewellery pieces and inventive timepieces that nearly brought time to a standstill during this year’s edition of Baselworld. 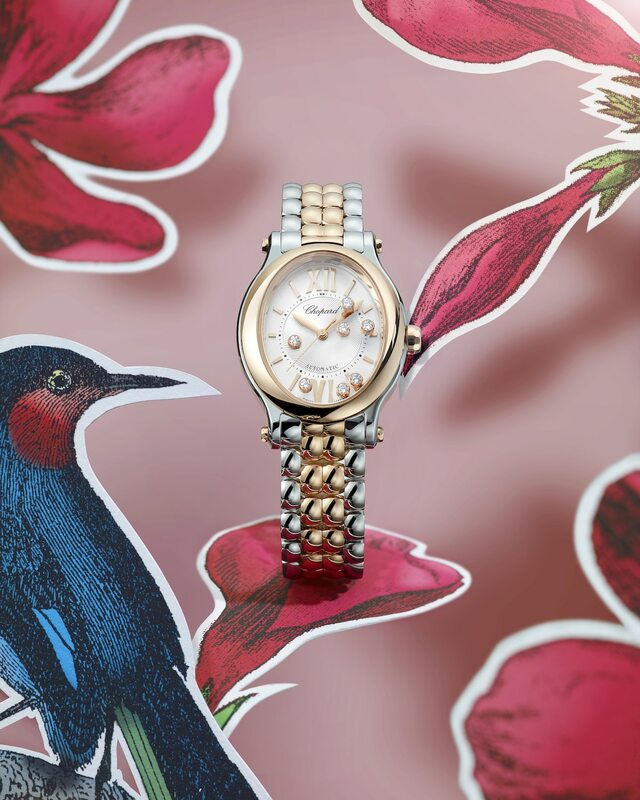 Old things are made new again with the arrival of the latest Happy Sport model from Chopard. A tribute to the original bracelet used in the iconic Happy Sport watch from 1993, this latest iteration was entirely crafted in-house by the artisans of the Manufacture Chopard to wrap the curves of the wrist while accentuating its overall slenderness. Available models include 18K rose gold or stainless steel with a diamond-set bezel. 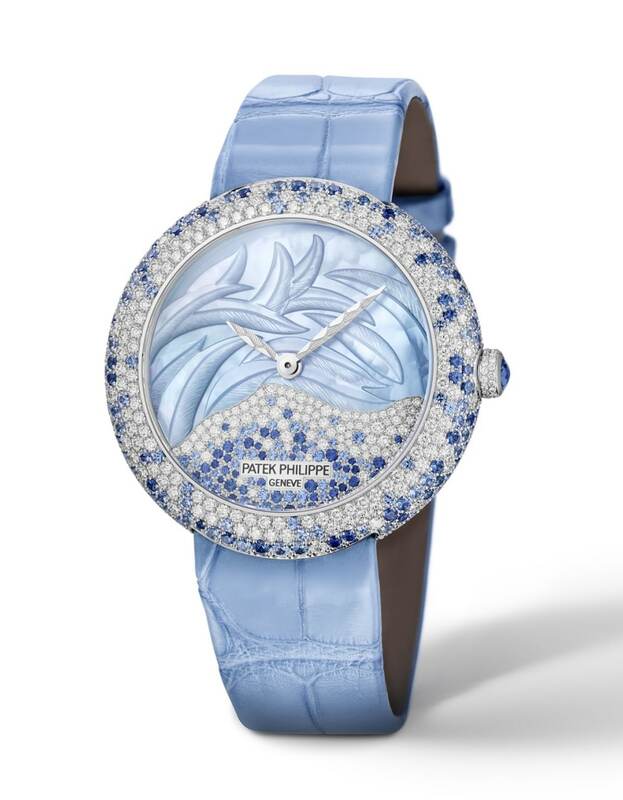 A visual harmony of white diamonds and blue sapphires, this latest scintillating addition to Patek Philippe’s range of ladies’ watches captivates with its elegant design. 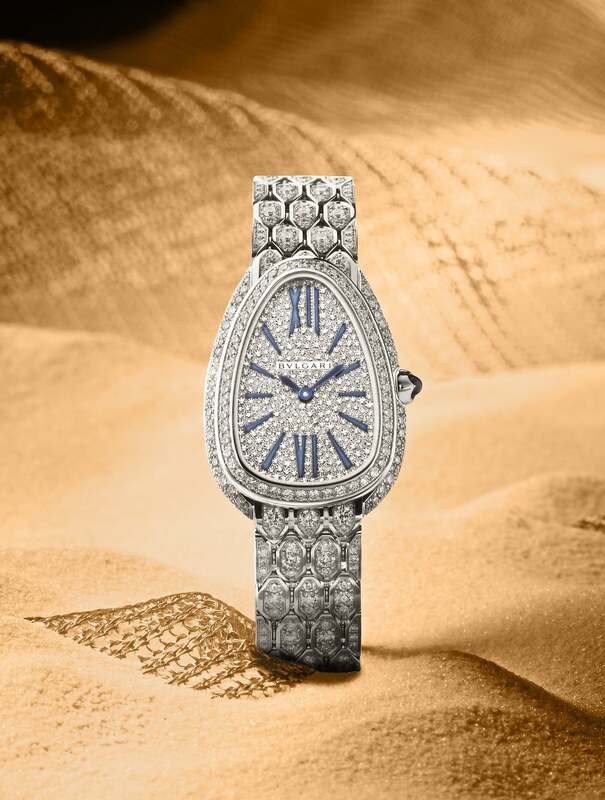 Details include diamonds set in random pavé configurations on its pink gold case which perfectly frames a plumage engraving on its mother-of-pearl dial. Powering this timepiece is the Caliber 240, an ultra-thin self-winding mechanical movement protected by the sleek 7.8mm case which sits comfortably on just about any wrist. The latest chapter in Bvlgari’s Serpenti story presents a bold new interpretation of the iconic serpent design which interprets the iconic drop-shaped watch case that is thinner than previous iterations. Set with blazing diamonds on the side bezels, the watch which is named after the Italian word for seduction also features a sinewy new bracelet that is flexible. Inspired by the original Serpenti watches from the late 1950s, the links of the bracelet mimic the shape of the case which resembles a serpent’s head. Available options in hold include rose, yellow and white gold as well as two models in full diamond pavé. 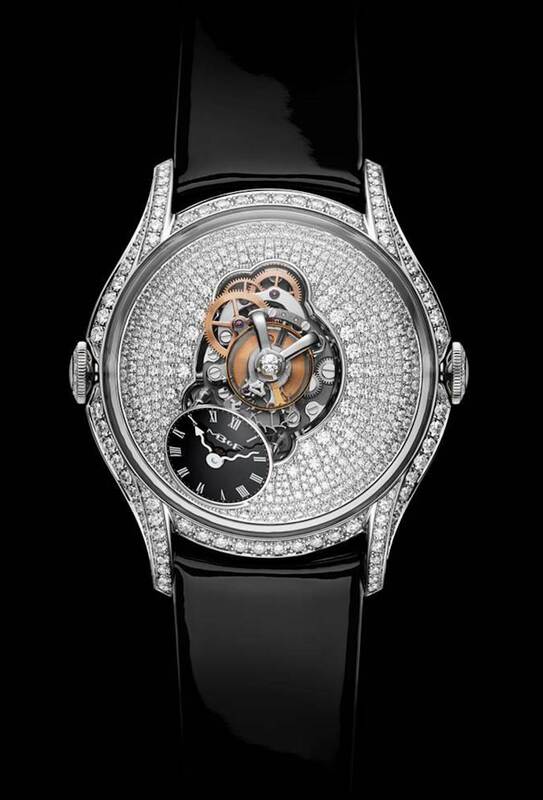 The masters of avant-garde watchmaking have put forth their first ever timepiece dedicated to women. The Legacy Machine Flying T is a three-dimensional creation with a distinctive sapphire crystal dome. This allows the wearer to fully appreciate to complexities of the magnificent display within which includes. 60-second flying tourbillon and a sub-dial with elegant serpentine hands. Powered by a 280-component automatic movement, the LM Flying T comes in three 18K white gold variations, with and without diamonds.